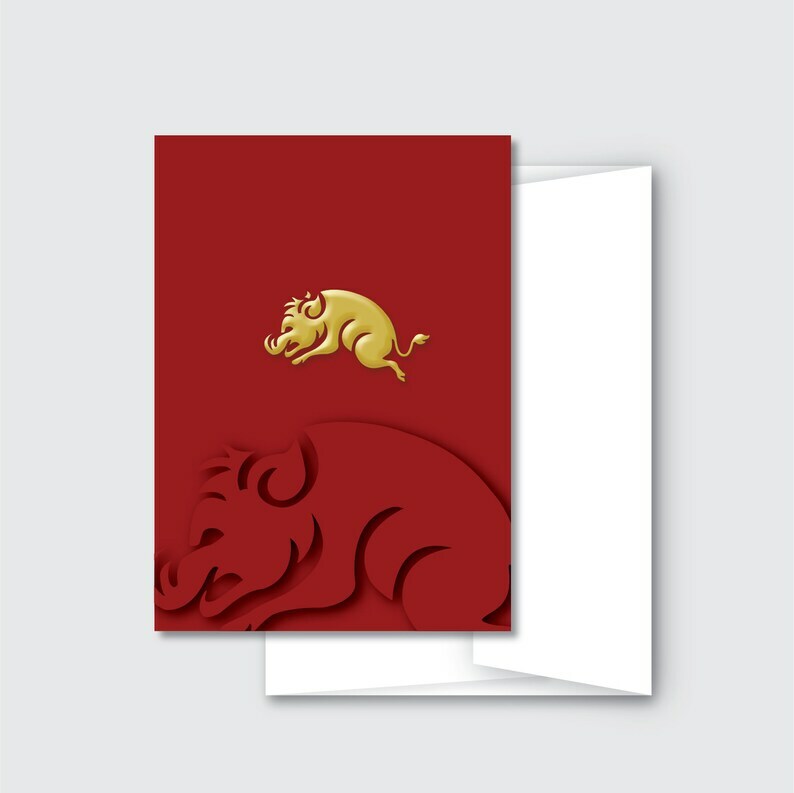 New Year's 2019 - Year of the boar greeting cards. Available as a single greeting card, two greeting card sets and three greeting card sets. The boar is the twelfth of the Chinese zodiac calendar, twelve year cycle. The Chinese New Year 4717 (2019), the year of the boar is also known as the Lunar New Year. It occurs every year on the new moon of the first lunar month. The next year of the boar begins on February 5, 2019 and continues thru January 24, 2020. People born in the year of the boar are very sociable, taking great pleasure in participating in numerous parties, associations, and social gatherings. Include characteristics of persons born under the year of the boar. My friend who is a fellow boar will just love this! Super fast shipping thank you so much! Very nice and shipped quickly.